Firefighters rescued a family trapped on a roof after their house caught fire on the 900 block of Black Rock Road late Tuesday evening. The family crawled out their second floor window to escape the flames, according to fire officials. Gladwyne firefighters, Captain Bart Rose, engineer John Robb, firefighter Tillerman Dave Watrous, firefighters Tom C. Hayden, Jr., Andy Culbertson and Mike Newell arrived and raised ladders to rescue the father and two children, according to Gladwyne Deputy Chief Andy Block. Crews then entered the home and found the family dog and removed it safely from the home. 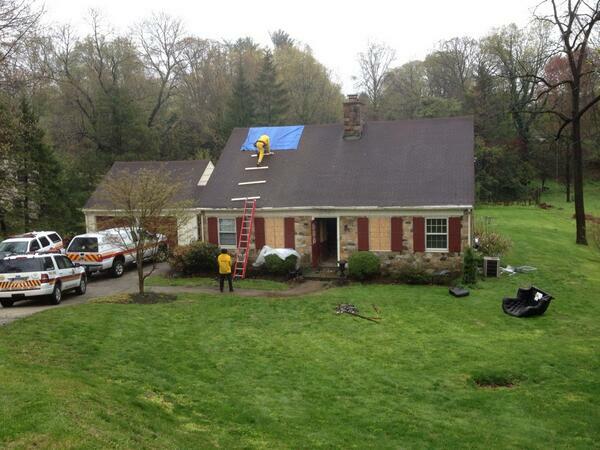 The family was transported to the hospital for evaluation by Narberth Ambulance. Bryn Mawr, Ardmore and Narberth fire companies assisted against the blaze. KANSAS CITY, Mo. 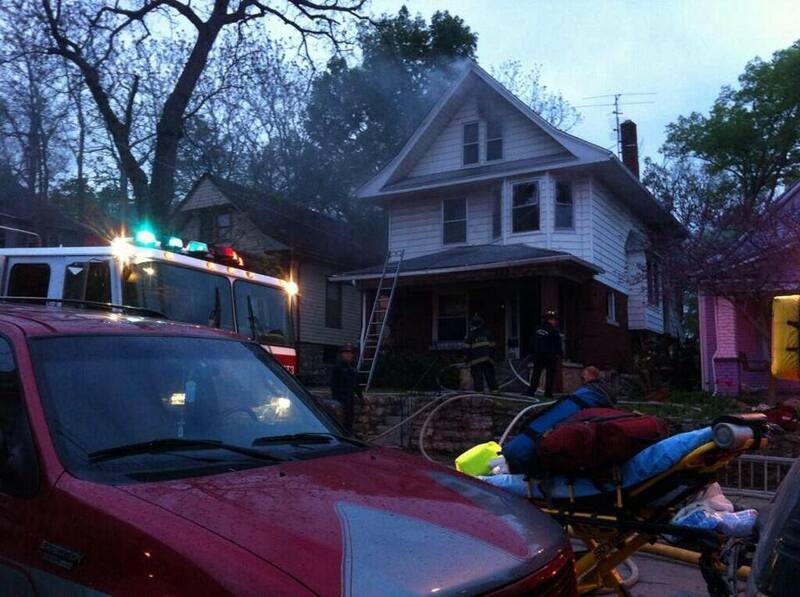 —Kansas City firefighters rescued a woman from the roof of her home after fire broke out early Wednesday morning. Fire crews were called to 41st and Charlotte streets about 5:45 a.m. The woman was not injured. But her dog perished in the fire. Lake County firefighters rescued an unconscious woman from a Mount Dora home engulfed in smoke Tuesday afternoon. Firefighters responded to a 12:44 p.m. call for help at 2760 E. Land Road just west of the city center. When they arrived, firefighters saw smoke could coming from the eaves of the one-story home, Assistant Fire Chief Jack Fillman said. The smoke was so dense, Fillman said, that firefighters couldn’t see and had to feel their way around each room before finding the woman. The woman was discovered in the hallway by her bedroom but had no burns on her body. After pulling the woman from the home, emergency crews helped revive her. She was coherent and speaking by the time a helicopter arrived to fly her to Orlando Regional Medical Center, Fillman said. She is expected to make a full recovery, he said. 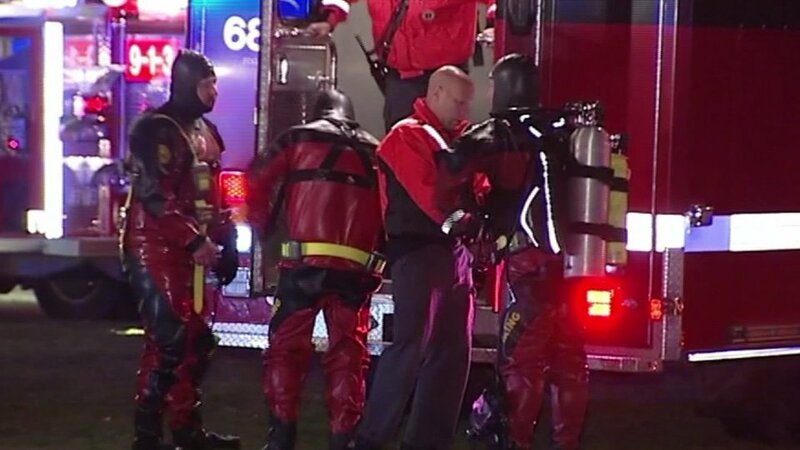 Police divers have returned to Montrose Harbor, looking for a man believed to have fallen into Lake Michigan with a woman who was rescued early this morning. The woman, in her 20s, was pulled from water in the 500 block of West Montrose Avenue about 2:05 a.m., authorities said. She was unresponsive and taken to Weiss Memorial Hospital in critical condition. While emergency crews were on the scene, a witness arrived and said a man had been in the water as well, police said.The witness said the man was wearing a white T-shirt, officials said. Firefighters and police divers, using a thermal imaging camera, searched the water for a second person but did not find anyone. 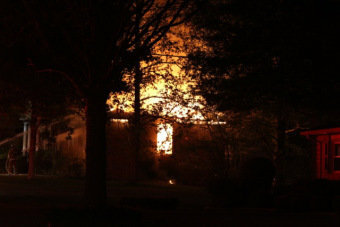 The search was called off just before 3 a.m., according to the fire department. Divers returned later in the morning after determining that the witness was credible, according to Police News Affairs Officer Janel Sedevic. The water has been too rough for divers, but crews were searching the surface, she said. HUNTSVILLE, Alabama – A woman is being treated for life-threatening injuries after Huntsville firefighters rescued her and another person in a burning house. Huntsville police also responded to the house fire in the 2300 block of Rothmore Drive, which was reported shortly before midnight Saturday. The firefighters found Clara Giudici unresponsive, and HEMSI transported her to Huntsville Hospital. A man found inside the house also was transported to the hospital by HEMSI, but his injuries were not life-threatening. Huntsville Fire and Rescue and Huntsville police are continuing the investigation in the cause of the fire. ST. PAUL, Minn. – Three-year-old Fred Stewart, Jr. has a violent cough, something doctors say is due to smoke inhalation. Both Stewart and his father, Fred Stewart, Sr., were rescued from a burning apartment in St. Paul on Friday. “I was scared,” the three-year-old said while coloring in a Regions Hospital waiting room. Firefighters used thermal imaging to pull the two from the burning unit. Turns out, paramedics participating in an ongoing training program were in the neighborhood on another call. That program is made up of more than 1,400 first responders and paramedics in Minnesota and Wisconsin. Dr. Bjorn Peterson, assistant medical director at Regions Hospital, said when he heard the victims were trapped inside of the building he knew timing was critical. Peterson and the resident he was training that day showed up before the dispatched ambulance. Peterson was able to give medical attention right away. Trawanda Harris said she feared the worst when she arrived at the complex. She said she is thankful for the technology that helped firefighters locate her little brother and his father. Both suffered from smoke inhalation. Friday night, Fred Stewart, Sr. was listed in critical condition and could not breathe on his own. “I love my little brother a lot. I am happy that he is alive and safe and doing good,” she said. Firefighters say a space heater is to blame for the blaze. 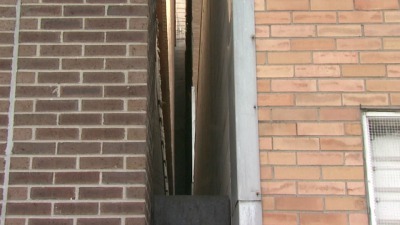 LEXINGTON, Ky. (WKYT) – Lexington fire officials say they received an unusual call about 7 a.m. Sunday about a young man who was trapped between the walls of two downtown buildings. Fire investigators say they learned the man was stuck in a 14 to 18 inch space between the buildings when a police dispatcher was walking into a building and heard him yelling for help. “This was a difficult situation because it was a really narrow area for our firefighters to work and get equipment in, so we had to use a couple folding ladders. We sent two firefighters into the space who were able to assist him,” said Maj. Daniel Bellot. Bellot says they finally pulled the bruised and bloodied man out and rushed him to UK Hospital. “He was alert and he was able to communicate with firefighters,” he said. He says they believe the man, who is in his 20s, fell about 20 feet into the narrow space behind the police department. “We’re assuming that he was on top of the roof and probably didn’t see the separation between the two walls,” Bellot said. “Then he slipped and fell?” asked WKYT’s Mark Barber. “That’s what appears to have happened,” said Bellot. According to police, he was stuck for at least five hours. Bellot says it’s amazing the young man survived. “He’s very lucky that he’s alive. He’s also very lucky that someone was able to hear him screaming for help,” he said. Investigators say they’re still working to figure out who he is and why he was on the roof. (BERWYN) A woman is in critical condition after being rescued from a fire at her home in west suburban Berwyn. 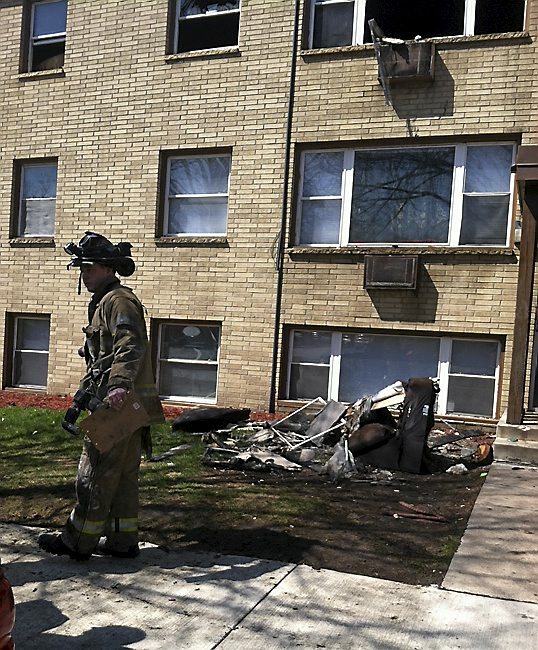 The blaze started in a rear bedroom of the home in the 1600 block of Ridgeland Avenue about 11:30 a.m., according to Berwyn Fire Chief Denis O’Halloran. Firefighters searching the home found a woman in her 60s who was having trouble breathing and had suffered burns, O’Halloran said. She was taken to Loyola University Medical Center in critical condition. No one else was in the home, which sustained moderate smoke and heat damage, he said. LOUISVILLE, KY (WAVE) – A man who was stuck in the middle of a waterfall near a Louisville park was rescued by firefighters Wednesday. According to MetroSafe, around 5:20 p.m. Okolona firefighters were called to rescue the man in the 6500 block of Price Lane, near McNeely Lake Park. When crews arrived on the scene they were able to locate the man, throw him a rope and pull him to safety. 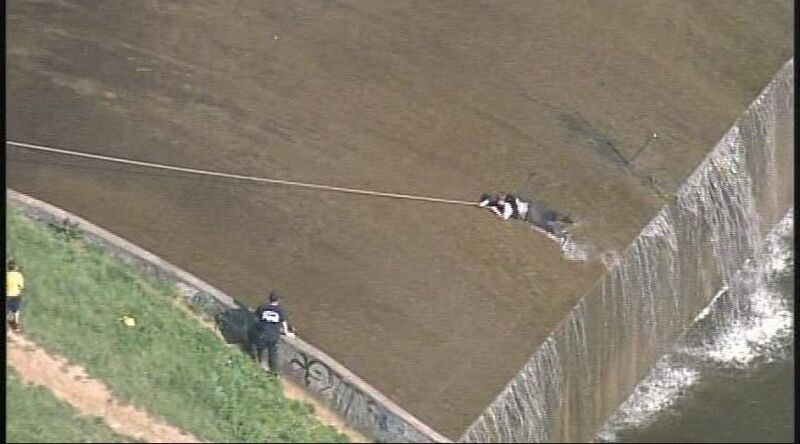 It is unclear what the man was doing near the waterfall. We will bring you more information on this developing story as soon as we get it into the newsroom. A worker was rescued after falling aboard a vessel at Fraser Shipyards in Superior on Saturday morning. Superior firefighters responded at 9:10 a.m. to the John J. Boland, a 680-foot freighter, where a worker had fallen an unknown distance in the forepeak, a fire department news release said. Crews reached the man, assessed his condition, stabilized him and placed him in a rescue basket, in which he was lifted to the ship’s deck. 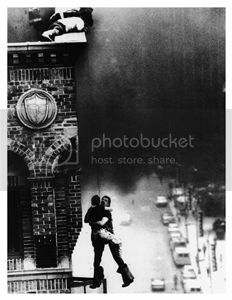 Then he was lowered from the deck to the waiting ambulance crew on the ground below. The man was taken to an area hospital, the news release said. His injuries didn’t appear to be life-threatening.